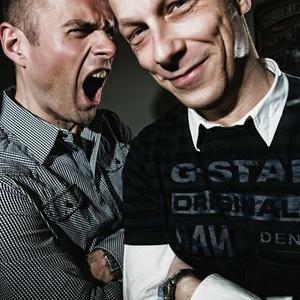 Introduction: They're one of Europe's most established, respected dance acts, having been catapulted to stardom by their debut release ?Airwave'. In the 9 years that have followed they've continued to pack out the CD wallets of world's A-list spinners with speaker-spankers that have included ?Such is Life', ?Symfo' and ?Life Less Ordinary'? In 2009 they unleashed ?L.E.D. There Be Light' - a track that was quickly snapped up by ID&T as the anthem for that year's Trance Energy event. Their Live and DJ sets induce floor-quakes before thousands of fans at clubs, arenas and festivals every single weekend. They are Piet Bervoets & Benno de Goeij? and they're Rank 1. Rank 1's Year One - ?Airwave': After a chance introduction at a party in the spring of 1997, Benno & Piet recognised much common musical ground and decided to work together. As the Dutch trance dawn rose up over Europe, the pair found themselves faultlessly positioned at its epicentre to reign. Championed by fellow fast-risers Armin van Buuren, Ti?sto and Ferry Corsten, in 1999 the stadium-sized sound of ?Airwave' sent out an audio shockwave across the continent. It proved to be such a hit that just 12 months later ?Airwave' had been released, incredibly, in over 40 countries ? jumping into the Top 10 in the UK and becoming the first Dutch track to top the European Dance Chart. The Rank 1 Singles: Working at the pace of roughly one floor-carnivore a year, Rank 1 followed-up with ?Such is Life' (2001), ?Awakening' (taken from their debut album ?Symsonic' - both 2002), ?It's up To You' (2003), ?Beats At Rank-1 Dotcom / After Me' (2004) and ?Opus 17 / Top Gear' (2005). After a year's production break they returned to the fray in '07 with two monster collaborations: ?Life Less Ordinary' (in tandem with Alex M.O.R.P.H.) and the ?This World is Watching Me', co-produced with Armin. In 2009 Rank 1 became the ?go-to' men for event anthems, remarkably producing them for not one, but two world-class festivals. In February ?L.E.D. There Be Light' became the wildly-popular, Beatport-smash anthem for Trance Energy, while ?Symfo' was selected to define Poland's colossal Sunrise festival. In 2010 they followed up with 'The Great Escape', the theme song to Poland's Entrance Festival and '100', a triple collaboration between them, Nic Chagall and Wippenberg to celebrate High Contrast Recordings' 100th milestone release. Another production break year followed with the guys returning to full force in early 2012 with the releases of 'Wild And Perfect Day' (their third collaboration with Jochen Miller with vocals provided by Sarah Bettens) and 'Witness' (a vocal collaboration with Cerf, Mitiska & Jaren for their new album). They will soon release their brand new track '7 Instead Of 8', an innovative oldskool Trance styled track built on seven rather than eight measures. The Rank 1 Remixes: Rank 1 also has an estimable remix-o-graphy to their name. Freddie Mercury, Ferry Corsten, Push, Cygnus X, Delirium, Marcel Woods, Mr Sam, Ronald van Gelderen, Angelic and Ayumi Hamasaki have all been given Rank 1's studio re-touch. Piet the DJ, Benno the Producer: Rank 1 now has two distinct branches to its operation. Benno is in charge of all the Rank 1's production elements. He co-produced many of the tracks on Armin van Buuren's 2008 long-player ?Imagine' and has already commenced work on the next one. Piet meanwhile takes the role of the globetrotting DJ, spinning at tent-pole events like Dance Valley in his native Holland and numerous international tours (including the US and asia) for the likes of Gatecrasher & Godskitchen. In 2009 Rank 1 found themselves re-entering the DJ Magazine Top 100 at No.77. Rank 1 LIVE: Over recent years, Rank 1 has increasingly come together on stage for their Live performances. They became the first live act to perform at Sensation and famously forced the closure of doors of Trance Energy's main arena (when 25,000 clubbers packed it out to hear them play). Their kinship with the biggest event in trance music is widely-known and they are the only live act to have rocked Trance Energy 3 times! Outside of that Rank 1 has continued to thrill crowds live at some Europe's best-known festivals including Mystery Land, Sunrise & Nature One. For a complete discography and sound samples of all their songs take a look at either http://www.bervoetsdegoeij.nl/ (much respect and credit to Gert Egscholten for having kept record of all Rank 1 releases throughout the years), http://ur1ft.blogspot.nl/ or http://www.discogs.com/artist/Rank+1.